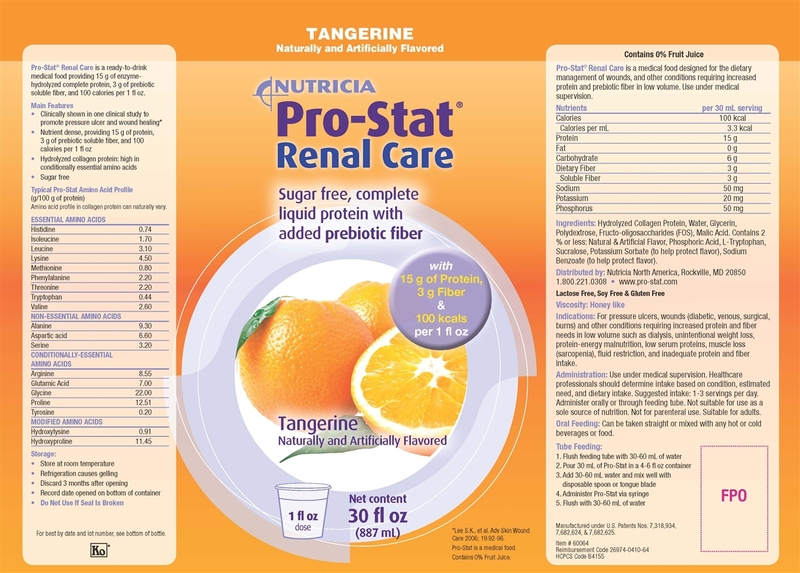 Pro-Stat Renal Care is a ready-to-drink medical food that provides 15 grams protein and 3 grams of prebiotic fiber (per serving) to help manage Hypoalbuminemia and bowel regularity in those on Dialysis. 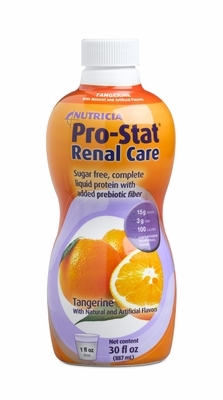 Pro-Stat RC is ideal for Hypoalbuminemia, Protein Energy Malnutrition, Unintentional Weight loss, Dialysis, Fluid Restricted, Wounds, Low Fiber and Protein Intake, Bowel Irregularity. It is low in phosphorus, potassium and sodium. Pro-Stat Renal Care is rich in Arginine, Glycine, Proline and Hydroxyproline with high nitrogen donor capability to accelerate tissue healing, a critical factor in replenishing depleted protein stores in patients with pressure ulcers, malnutrition, and low albumin levels. Tangerine flavor. Sugar free!